Struggling with breakouts and acne-prone skin? Feel like you’ve tried everything but it’s just not working? Then it’s time to step away from conventional acne products and their nasty chemicals. Instead, welcome the natural healing benefits of tea tree oil. It’s time to let the simplicity and purity of nature work its magic. Tea tree oil is the common name name for Melaleuca Alternifolia, the native Australian plant. The oil is carefully steam extracted from the plant, leaves and stem. This potent essential oil has been used for hundreds of years due to its incredible healing powers. Tea tree oil is well known for its ability to treat and prevent acne thanks to its anti-bacterial, anti-septic and anti-inflammatory properties. These healing properties make tea tree oil highly effective in reducing and preventing acne and breakouts. Forget the misconception of oils making oil skin issues worse. Did you know that acne can occur because the skin is actually not getting enough hydration? This is because excessively dry skin (which can occur from using harsh, chemically-based skin products) causes the sebum production to become overactive. The pores then become clogged which results in breakouts. Including oils in your skin care regime helps skin stay hydrated and regain the natural balance. How can I use tea tree oil in my acne skin care routine? Tea tree oil is extremely multi-functional and can be integrated into your entire skin care regime or a few selected steps. Whichever is right for you, tea tree oil will clarify and heal skin whilst restoring balance. 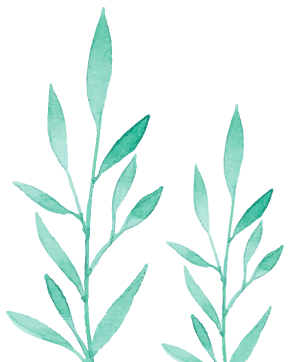 If you are new to using tea tree oil, or have sensitive skin, dilute 3-4 drops with your preferred carrier oil such as jojoba, rosehip or sweet almond oil. This potent essential oil should only be used topically and can also be diffused. Thoroughly removing all make up and dirt every evening is essential to prevent product build up on your skin, as this contributes to congested pores and acne breakouts. Tea tree oil is amazing at cutting through oils and grime which are found in many make up products and build throughout the day. It’ll leave your skin completely clean and prepped for the next steps of your routine. A fresh face ensures your cleanser is able to work as effectively as possible. It allows your cleanser to penetrate the skins layers and clarify pore to target acne concerns, rather than removing product. Remove make up in just a swipe by diluting 3-4 of pure tea tree oil with your preferred carrier oil such as jojoba. Apply to a cotton pad and gently wipe on the face in upwards motions, moving from the centre of the face outwards. Ensure you remove any makeup along the jaw, neck and hairline and be sure to avoid the eyes. Try using your chosen carrier oil only on a cotton pad to remove eye makeup. Tea tree oils powerful anti-septic and anti-microbial properties work to actively disinfect blemishes and clear pores of bacteria. This removes the build up of toxins, prevent blocked pores and future breakouts. Tea tree oil clarifies without stripping skin of natural oils which causes imbalances and dehydration and contributes to acne. Tea tree oil most effectively assists with acne when paired with ingredients to support the conditioning and moisturising of the skin. Opt for a cleanser specifically formulated with tea tree oil and natural ingredients. Try our Daily Facial Cleanser, created with tea tree oil to purify the skin and target acne and breakouts. It also effectively nourishes acne-prone skin with ingredients such as vitamin E, amino acids and hydrating Sodium Hyaluronate. Acne impacted skin needs hydration too! Apply moisturiser immediately after cleansing whilst skin is still lightly damp to improve product absorption. Gently pat moisturiser into the skin with fingertips, from the centre of the face moving outwards and up. Don’t forget your your neck and décolletage as these areas can experience breakouts. It also keeps them hydrated whilst preventing the appearance of ageing and promoting plump, glowing skin. Choose a moisturiser with ingredients that nourish your skin without leaving a sticky residue on the face or clogging the pores. We formulated our Skin Therapy moisturiser with tea tree oil to purify and mattify your complexion. We also included macadamia see oil and coconut oil extract as they are super lightweight whilst also intensely hydrating. When new acne breakouts appear, tea tree oil is the go-to treatment for disinfecting the blemish and eliminating toxins from the pores. Tea tree oil soothes and instantly reduces inflammation and redness, helping acne appear less obvious. It also assists in speeding up the healing process to clear your complexion sooner. Use as a targeted spot treatment by applying a drop of tea tree oil onto a cotton bud and directly dabbing onto emerging and existing pimples. Not all oils are grown equally. Choose 100% natural and pure tea tree oil and skin care products free from any synthetic chemicals or nasties that reduce the purity of the oil and may pose a threat your health. NATTo’s pure Australian oil is sustainably grown, harvested and distilled on our plantation in NSW and is regulated by ATTIA in accordance with their production and environmental standards.